Did you ever wonder how the colors of the chakras found their way into our present culture? I did. As an energy worker and certified teacher of yoga, I have been taught by a variety of systems how to activate my chakras. I invested time in private training with those who specialized in chakra activation. I’d spent numerous hours in meditative focus trying to activate my chakras based on their associated color. The reason for this effort I was told is that once I balanced the chakra’s colors I would enjoy a healthier body and mind. I was promised spiritual enlightenment would occur through the chakra’s activation process. After I put in considerable time and effort, I was disappointed. So I decided, I needed to do my own research into chakras. This is when I began to dig into a more historical understanding of chakras. The first thing I found out was that ancient chakras were basically colorless. Let me share with you what I found in a brief historical review of the chakras with relation to color, including the eastern verses western view on chakras colors and lastly the current rainbow theory of the chakra system. I’ll keep this article on task, since I found no one source can be solely the authoritative end all on the topic of chakras. Let’s begin with the origin of the chakra colors or the term chakra which is varied according to what authorities repetitively write about them. What I’ve learned is that there is no mention of “chakra colors” in the Upanishads. For those of us that know little about The Upanishads, they are a collection of texts http://en.wikipedia.org/wiki/Upanishads that supposedly has secret and sacred knowledge. One authority states, “I’ve come across “The Hindu religious texts, the Upanishads, dating from around the 7th-8th century BCE, first mentioned the existence of this cosmic energy called prana, which was received by all living creatures upon the Earth; however it was not until sometime between the 2nd century BCE and the 2nd century AD that the first mention was made of “chakras”. http://users.adam.com.au/bstett/SkepticsChakras137.html. Still another authority states, “the first known mention of chakras appeared in a number of early Upanishads around 7-800 BCE. Later Upanishads around 200 BCE – 200 CE, namely Shri Jabala Darshana Upanishad, Cudamini Upanishad, Yoga-Shikka Upanishad and Shandila Upanishad, made reference to tantric concepts such as chakras and mantras, and gave both locations and symbolism. In the 10th century, the Gorak­shash­ata­kam, written by Guru Goraknath, gave information on the powers of awakening and meditating on the chakras as sited in the article “A Brief History of the Chakras“. Then there are authorities such as this author in Wikipedia that discuss the color orientation of the “Chakras” http://en.wikipedia.org/wiki/Chakra. However, upon closer examination I saw that the references to the “color” claims are in need of a “citation”. This means their statement is in need of references to reliable sources which the author has not provided as yet per Wikipedia. Other Chakra articles, such as http://EzineArticles.com/?expert=Ray_Baskerville, points out “Despite everything you may have heard or read about chakras, there is no unified theory or explanation of exactly what the chakras are and what they do. Unfortunately, much of the information on chakras is simply a repeating of what has been said or written elsewhere and the basis of its authority is only from in their repetition. Very often components from different theories become mixed together adding to the confusion and misunderstanding”. I was beginning to see the repetitive way that chakra authorities state their position and meaning according to their unknown sources. We can understand based on this last author’s comments that the Chakra system has been transformed. The Chakras as the historical story tells had been ratified over time by the ancients who had interpreted the ancient Upanishads Vedic texts. This is even present in the chakras origin on the dual yogic and Tantric systems that founded and interpreted these subtle energy centers. If this wasn’t complex and fractured enough about chakras, it becomes more so as the west interprets the eastern view on chakras. First was an adaptation of the Kundalini chakra system with a western view, then a Theosophical view of chakras and lastly our present new age interpretations. It was Sir John Woodroffe complex body of chakra work called titled “The Serpent Power” http://www.scribd.com/doc/117167217/seprent-power-complete that took Kundalini to a new level. Later from this complex Kundalini body of work, came the now predominate western Theosophical view of C.W. Leadbeater in his book “The Chakras” that took strong hold of the western view of the chakras. www.anandgholap.net/Chakras-CWL.pdf look for Mahatma C.W. Leadbeater: Chakras. After studying all this research, I started to understand why trying to activate my color chakras had no effective change for my physical or emotional stability. Nor did I experience my greatest desire which was tuning more deeply into my spiritual self. Some of the side effects I experienced from focusing on chakra activations were very sleepy reactions and headaches, but I had no lasting significant expected changes from chakra training. These unfulfilled desires are what led me to the online School of Chi Energy. At The School of Chi Energy, I learned that chakras are bioenergy circuits that work like a vortex. These vortexes are activated with the student’s ability to make a bioenery form together along with taking it through that particular body part. I learned through practical application and practice that various repetitive flow patterns resulted in extraordinary experiences in consciousness along with emotional stability and better physical health. These results were more of what I expected. I learned to activate my (chakras) or seven vortexes in The School of Chi Energy Method. The School based all their chakra information on the latest scientific research of how energy actually affects your body. By going through the School, I was able to change what were metaphysical concepts into practical application. I learned that chakras were something that you could physically feel and sometimes physically see. Stay tune for the next article on Chakra training and information on how chakras really activate. It’s very interesting reading that the chakras which I thought only to be metaphysical are tied into how energy works throughout the human body. I remember reading in Dean Radins book that the more we delve deeper into science and especially quantum physics, the more we seem to go full circle almost back to the mystical age. Great links, Sifu Cindy, some of which I shared. It’s strange, but my favorite color used to be red. After memopause it became yellow and the violet-grey that is the second color from the top in the Hill’s chart. Very interesting. This was very good to know. We appreciate your comment. There is more to learn about temperature and energy that behaves like electricity. If interested, please visit http://www.chienergyheals.com/chi-energy-form-training-method/. Kundalini awakening does exist. I experienced it involuntarily. up the spine and through the head. I have never been the same person again. Just forget about messing with the Kundalini. Comment: achi,can u describe what method u used to activate kundalini ? We are a School of learning and instruction for high level energy work. 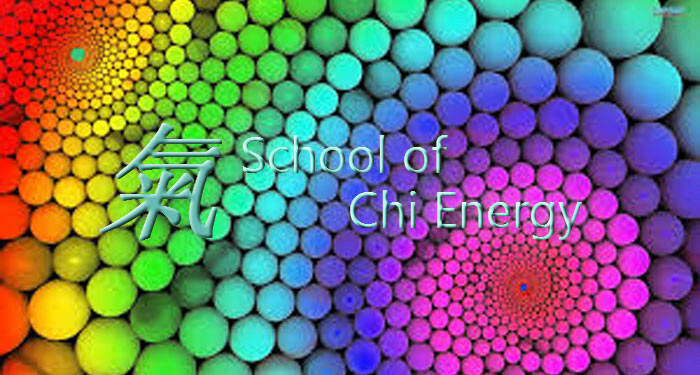 Please click this link to the School of Chi Energy to learn more about the method. Here is a link to learn more specifics on your Kundalini Done Right question. just wondering then..is the aura machine fake? I had a picture taken of my aura with the colours, and the info I got was pretty accurate with my job, state etc. kirlian photography is black n white isn’t it? I also saw a video explaining Tamil and chakra having different colours eg base is black, 7th is transparent. Thank you for your comment. The aura detector are temporary results in any given moment depending on emotional content. It is picking up on the ‘infrared’ pattern and wavelength and the association of the color for that wavelength. There is a much larger picture than what we could explain in an email. Please visit our school if you like to learn more: Chi Energy Heals Articles. I find it interesting that we are locked into the idea of seven colors for the rainbow. We have Newton to thank for that. He yoked the visible spectrum with music’s major scale (plus a dash of Christian mysticism that exalts the number 7 as holy). You’d think with more advanced studies into light and color theory–and, heck, even printing, we’d have updated our view of the rainbow.